The present collection of articles, presented at the 8th IADA Conference in Goteborg, focuses on understanding and misunderstanding as dialogic phenomena. The notion of a dialogic grammar and dialogic principles as a framework for understanding human communication and cognition is explored in several contributions. 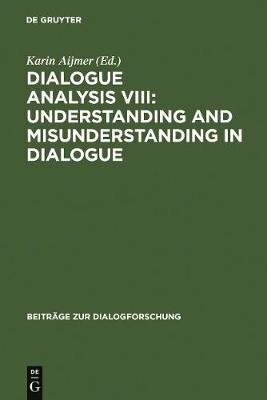 Misunderstanding in dialogue is dealt with in institutional and non-institutional settings, in fiction and film dialogue, from several different theoretical perspectives."